Humanity and knowledge. 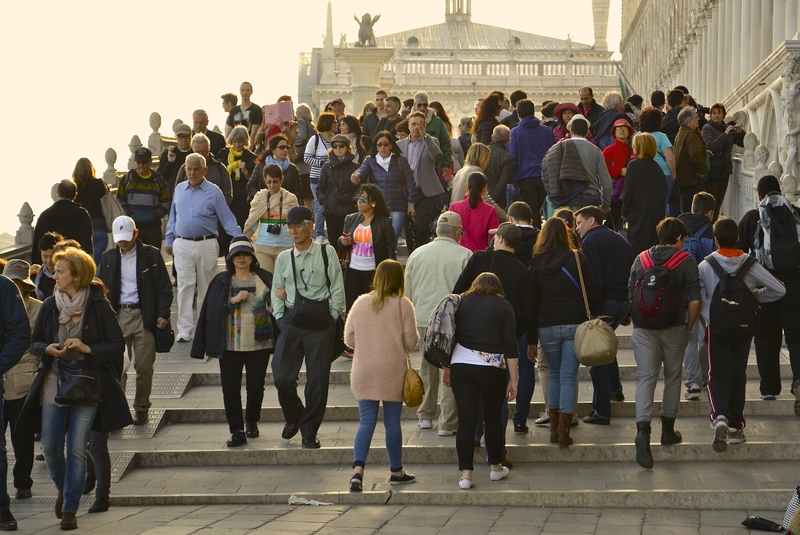 This crowd on the steps of the promenade, at Riva deli Schiavoni, is a mix of all nationalities, people of every culture, every shape, color, and size, satisfying the strong human desire to see new places and learn new things. In Venice, Italy. Humanity and Sports. Nothing brings humans together like the love of sports. On these occasions, the world becomes small, nations forget their grievances, and humanity is at peace for a set period of time. 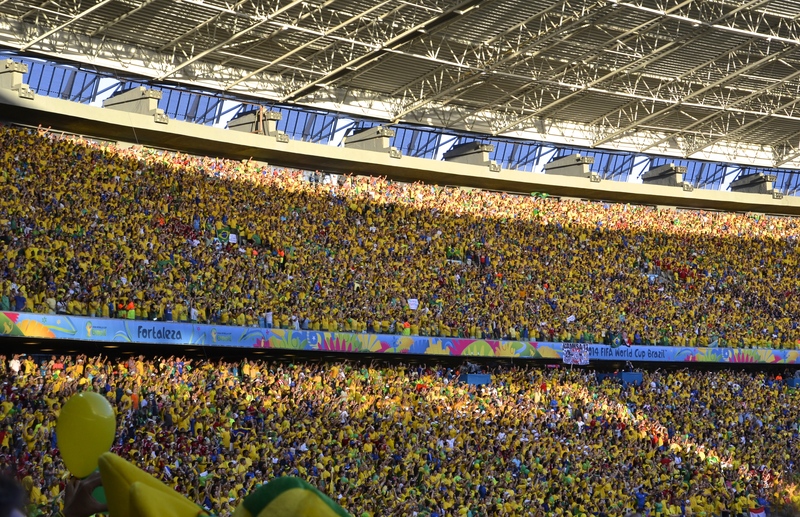 At the 2014 World Cup, Brazil. Humanity and Resilience (I). She’s homeless, but she hasn’t lost her dignity. 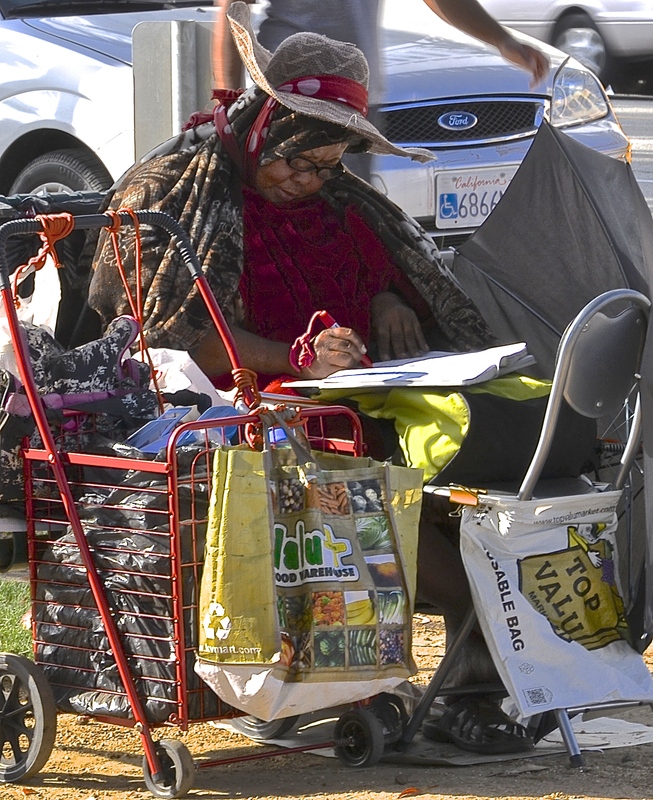 She sets her desk at the park and writes. In Santa Monica, CA. Humanity and Resilience II. 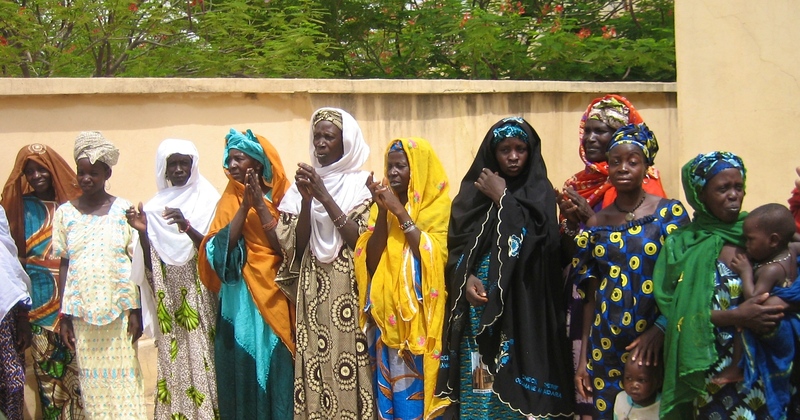 Regardless of their economic and social challenges, these Malian women, most of them mothers, dressed in colorful outfits and kept a dignified air about them, greeting important visitors to their village. See other posts on Humanity. I am not the adventurous type. I like to keep my feet on solid ground and usually don’t need a lot of thrills to enjoy myself. So the most adventurous thing I’ve done lately was to ride the Palm Springs Aerial Tramway from the floor of the Coachella Valley to close to the top of San Jacinto Peak, at 8,516 ft (2,596 m) above mean sea level. Thanks to my camera, and the thrill of shooting dozens of pictures, I didn’t think about the fact that we were suspended in the air and that something could go wrong. And I loved the experience! For other and probably more exciting, adventures, go here. Ailsa, at Where’s my Backpack, invites us to share our shopping experiences in our travels with the theme Merchandise. Like her, when traveling with my camera, I have much more often enjoyed photographing local merchandise than doing any shopping. Here’s a small sample of that. Fruits and souvenirs, Siena, Italy. Charcuterie, Greve in Chianti, Italy.